Home computer and internet security computer maintenance nigeria tech startup Save money for your business! Even low income earners can now afford this alternative 24 hour power supply! Save money for your business! Even low income earners can now afford this alternative 24 hour power supply! With the recent energy crisis in the developing countries and especially in the Africa’s most populous country: Nigeria, one would think countries as Nigeria would be investing heavily on other alternative and renewable energy resources like Wind and Solar energy. Unfortunately it isn’t so and the reason will certainly surprise you. First of all, what is renewable energy? Renewable energy is a cheap and almost a free energy. It is generally defined as the energy that comes from resources which are naturally replenished on a human timescale such as sunlight, wind, rain, tides, waves, and geothermal heat. We will appreciate this more when we compare it to the non-renewable energy sources that we have today like the crude oil and coal that’s mined from fossil fuel deposits beneath the surface of the earth. Considering the rate of fossil fuel use, it is estimated that worldwide reserves of Fossil fuels will become extinguished by 2039. So we anticipate a global energy crisis if nothing is done before then to avert the situation. Apart from that, the fossil fuel is not a clean source of energy. Its combustion releases dangerous carbon emissions that deplete the ozone layer in our atmosphere, little wonder Global warming has always been the re-occurring issue in several United Nations meetings these days. Renewable energy on the other hand is completely clean. 3. It is clean and environmental friendly. The government and private investors are key players in this renewable energy revolution that is sweeping across the world now. I was privileged to meet Dr. Patrick Owelle who is the M.D and CEO of PSC Industries Limited (PSC Solar). 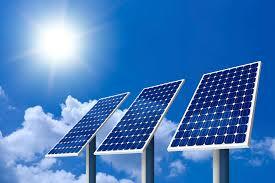 PSC Industries Limited is a Solar Electricity and Renewable energy total Solutions Provider located in Lagos, Nigeria. I particularly picked interest in this company because they don’t only talk about the need for the switch to alternative energy sources; they are actively involved in transforming a lot of lives via their highly affordable solar energy Photo Voltaic panels, inverters and storage facilities. A look at the PSc Solar websitehttp://www.pscsolaruk.comis certainly worth it. Personally I couldn’t agree more with him. So what is Nigeria still waiting for? It’s hard to tell. Over the years, Billions of dollars has been pumped into the nation’s energy sector and yet no tangible result is seen. But the good news is that you don’t have to wait for the government this time. You can light up your home at least using the abundant solar energy. All you need is a complete solar converter set including Photo Voltaic panels, inverters and batteries. Chekwas Ojike is a Trained Physicist, a freelance writer. He owns Mymobnet.com where he shares some Tech stuffs.